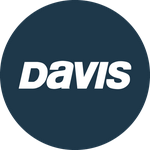 Davis Instruments Support, FAQs and Troubleshooting - What happens when CarChip Connect is unplugged from the vehicle? All Categories ​>​ FAQ ​>​ Vehicle Monitoring ​>​ What happens when CarChip Connect is unplugged from the vehicle? CarChip Connect has a backup battery within the unit. When unplugged, CarChip Connect will send a final message on its status and you will know immediately that the unit has been disconnected or tampered with.